The average price for this game in the past 6 months is $7.25. The game first became 50% off on Mar 30, 2012 at GameStop. Lowest historic price was $3.64 on Jan 9, 2015 at GameFanShop. Assassin's Creed Revelations is back on sale for $5 at Gamersgate. Lowest price we've ever seen. You'll need a UPlay account to play this game. Can this be redeemed on steam? Don't think so, I'm pretty sure this is just an Amazon download that requires Uplay account to play. BIG savings on this Assassin's Creed: Revelations pre-order special from Amazon! This is the cheapest price for Assassin's Creed Revelations that I've seen yet, and if you're an AC franchise fan, you wouldn't want to miss out on the last installment with Ezio and Altair. Amazon's doing a no-cost down pre-order method where you won't get charged until the game is released and shipped. PC gamers rejoice! The average price for this game in the past 6 months is $10.87. The game first became 50% off on Aug 7, 2012 at Rakuten. Lowest historic price was $3.99 on Jun 4, 2015 at Best Buy. Assassin's Creed Revelations on PC is down to $15 at Buy.com this week and free shipping. Lowest price we've seen for the game so far and $5 less than the next best of $20. Lowest price ever on the Assassin's Creed: Ezio Trilogy today at Amazon. You get Assassin's Creed 2, Assassin's Creed Brotherhood, and Assassin's Creed Revelations for only seventeen bucks. Assassin's Creed: Revelations alone is selling for $20. The average price for this game since released is $26.16. The game first became 50% off on Jul 16, 2013 at Amazon. Lowest historic price was $16.99 on Apr 9, 2014 at Amazon. The average price for this game since released is $37.69. The game first became 50% off on Dec 26, 2011 at Best Buy. Lowest historic price was $7.99 on Apr 9, 2013 at Best Buy. Lowest price ever on Assassin's Creed Revelations on PS3 and Xbox 360. Even $5 cheaper than the Black Friday price and $10 off the next best price online. Today Amazon has Assassin's Creed Revelations for only $36 on PS3, Xbox 360, and PC Download. This is the lowest price ever by $12, with the exception of the Black Friday only price ($35) . Current next best price online is $55. Weekend gaming deal continues with AC Revelations for the PS3 (also on sale on the 360, PC). This is probably the last time you can pre-order Revelations for $48 at Newegg before the November 15th release date. Personally I'm excited to see the final conclusion for the adventures of Ezio and gangs. The average price for this game since released is $32.89. The game first became 50% off on Dec 26, 2011 at Best Buy. Lowest historic price was $7.08 on Mar 14, 2014 at Microsoft. Post Cyber Monday deal: The new Assassin's Creed game dropped to $50 at Amazon on the Xbox. Newegg has for $55 but elsewhere full list price. Play Ezio in Istanbul ... or is it Constantinople? now it's Istanbul not Constantinople... why did Constantinople get the works? NOOBS! u should be playing Skyrim!!!!!! Assassin's Creed: Revelations releases at Midnight tonight. Best deal online right now is this one from Buy.com for $55 + $10 store credit. The lowest overall price is $54 at Deep Discount but I bet most would rather spend an extra buck for future purchasing power. 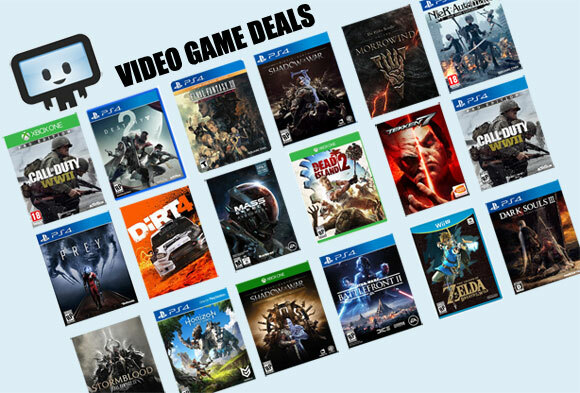 If you missed the previous $48 special pre-order price on AC: Revelation last month, you can now grab the game for the lowest price possible at Newegg. Also le dirt cheap for PS3 version too. Another super hyped upcoming release (seriously, for this fall, see ya'll next year fellow gamers), Assassins Creed Revelation will be released on all platform on November 15th, finally concluding the story line for Ezio and Altaïr. Whatever the conclusion, this won't be the last game in the AC franchise as Ubisoft will most likely continue to milk the cow and keep the goods coming. Assassin's Creed: Revelations is the first game in the series franchise to feature all three major characters in one game: Altaïr ibn La-Ahad, Ezio Auditore da Firenze and Desmond Miles. Both Ezio and Altair will be relived when Ezio discovers that Altair has sealed an ancient weapon to end the Templars and Assassins war. The story also continues Desmond's modern day story, in the Black Room. Similar to the previous games, Revelations allow a vast open-world gameplay, featuring new items such as the hookblade, and 300 different bomb variations, all craftable.